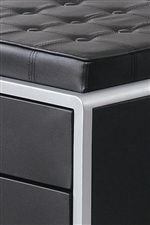 This chest features a black box construction with metal accents and caster wheels. 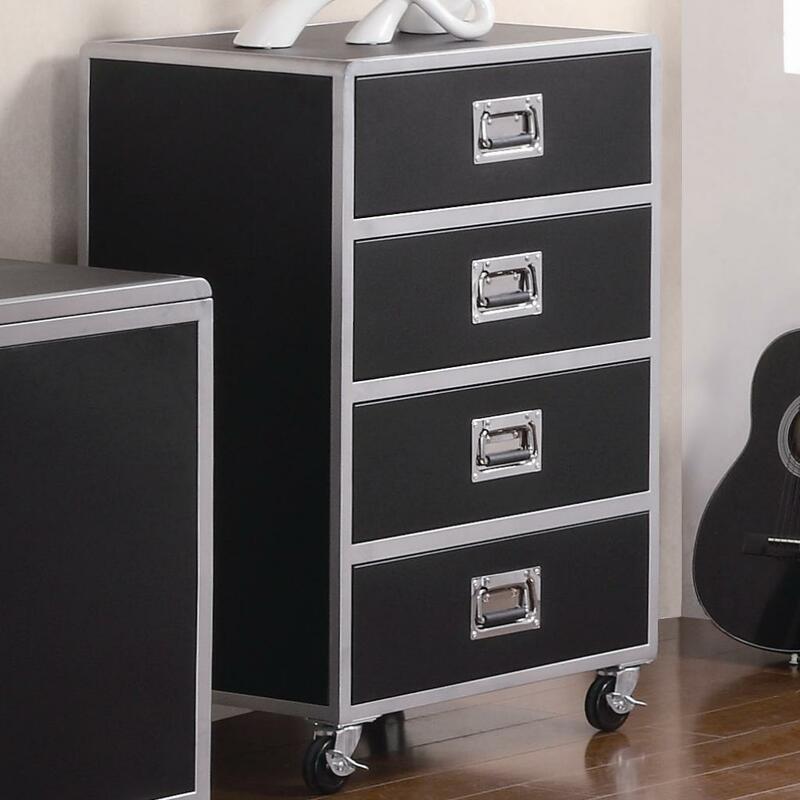 Four sizable storage drawers provide a smart place for storage, to accommodate the youth in your home. Pair this chest with the coordinating cabinet, loft bed, table, and chair.to complete this look in the youth room in your home. The LeClair 4 Drawer Chest with Casters by Coaster at Value City Furniture in the New Jersey, NJ, Staten Island, Hoboken area. Product availability may vary. Contact us for the most current availability on this product. Handles & Hardware Metal handle pull hardware. 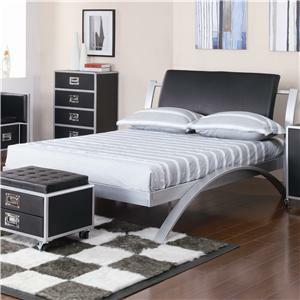 A modern youth group, the LeClair bedroom collection shows off a sleek metal arch motif, with black upholstered headboard options, and classy black and metal accents throughout the collection. Pieces feature metal latch levers for easy drawer opening, and locking metal caster wheel legs allow each case piece to be easily moved. With a myriad of options that include functional storage, workspace, and efficient design, the LeClair collection will outfit the youth bedroom in your home with a perfect balance of smart function, and sleek design that will grow with them for years to come. The LeClair collection is a great option if you are looking for Contemporary furniture in the New Jersey, NJ, Staten Island, Hoboken area. 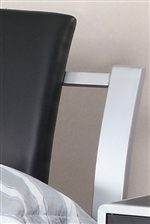 Browse other items in the LeClair collection from Value City Furniture in the New Jersey, NJ, Staten Island, Hoboken area.